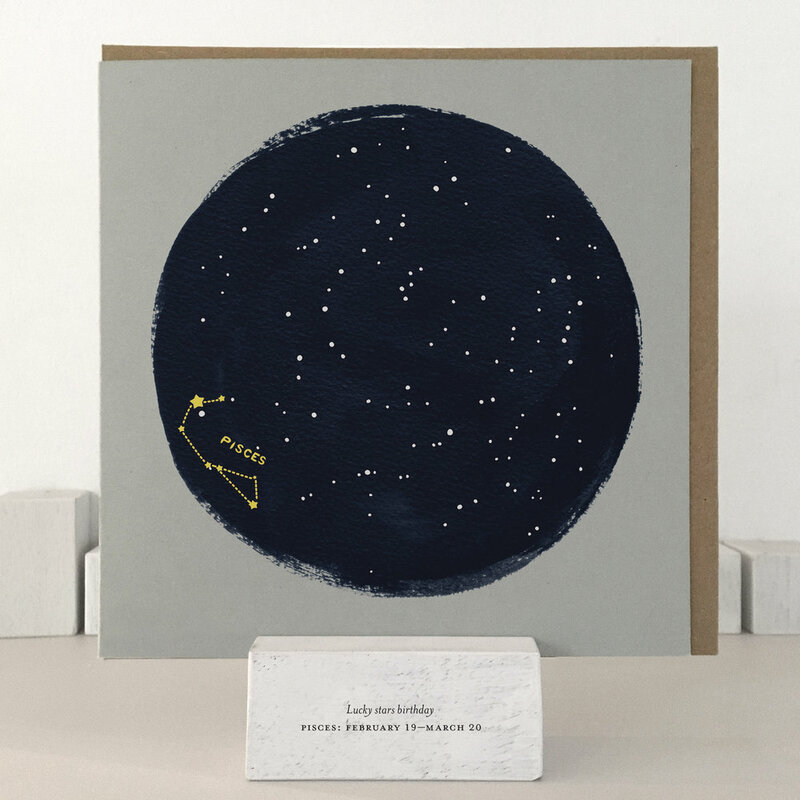 Horoscope themed cards with the constellation for each of the 12 star signs illuminated in a watercolour wash sky. Great all-round birthday cards to keep on hand for young or old, guys and gals. They're all here: aquarius, pisces, aries, taurus, gemini, cancer, leo, virgo, libra, scorpio, sagittarius and capricorn. On the back of every card are the birthday calendar dates for the corresponding star sign. Printed with special white ink.